I'm forever in love with the sound of young women singing together, particularly in harmony. So this bargain bin find was right up my alley. 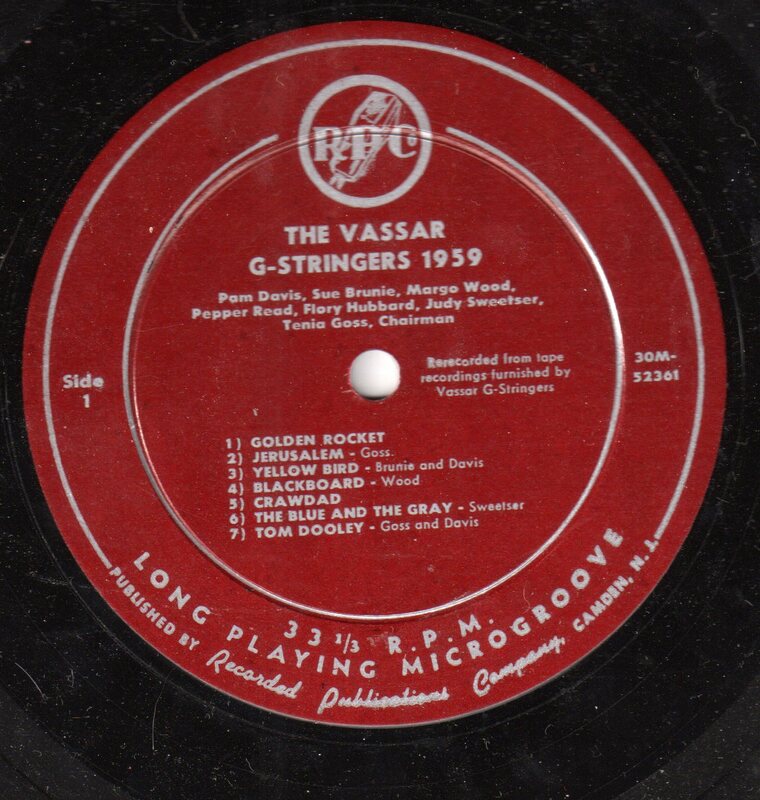 Vassar College, in the Hudson Valley, was of course a women's college in 1959, and the local folk troupe, The G-Stringers, appear to have made a handful of albums during that era. 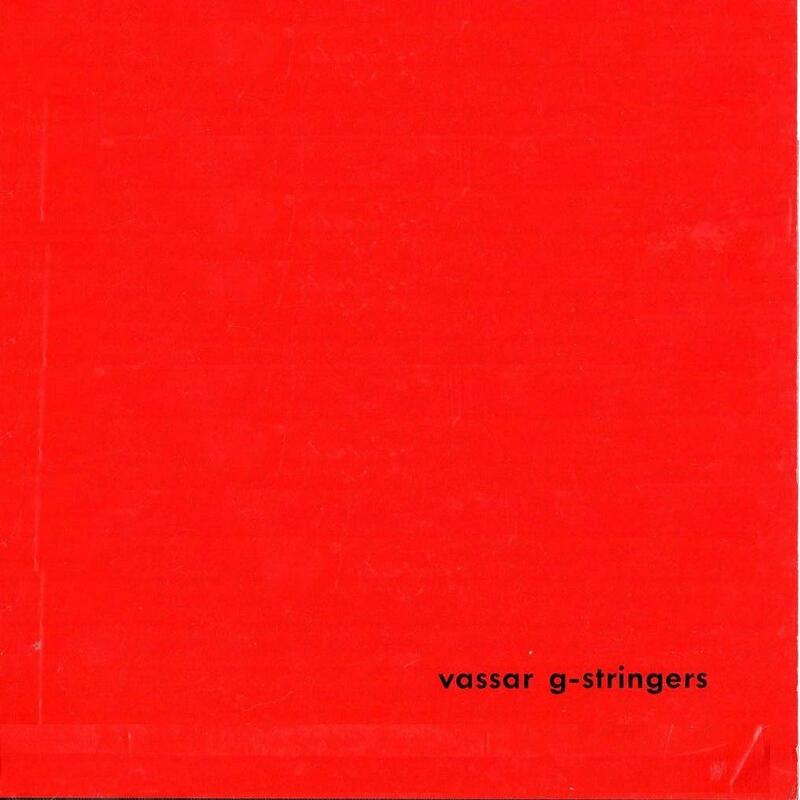 Most, perhaps all of them were likely vanity projects as this one clearly was ("rerecorded from tapes provided by the Vassar G-Stringers"). The group gives its all in a collection of songs which is notable mostly for the high percentage of songs capturing the lives and (sometimes) accents of ethnic populations quite unlike their own. This works better in some cases (the Caribbean tunes are quite nice) than others (some of the Southern and Hillbilly tunes come off sounding condescending to my ears). The harmonies are lovely throughout, though, never more than in a magical moment about 35 seconds into "Tom Dooley" when some nice counterpoint suddenly merges into a gorgeous chord. 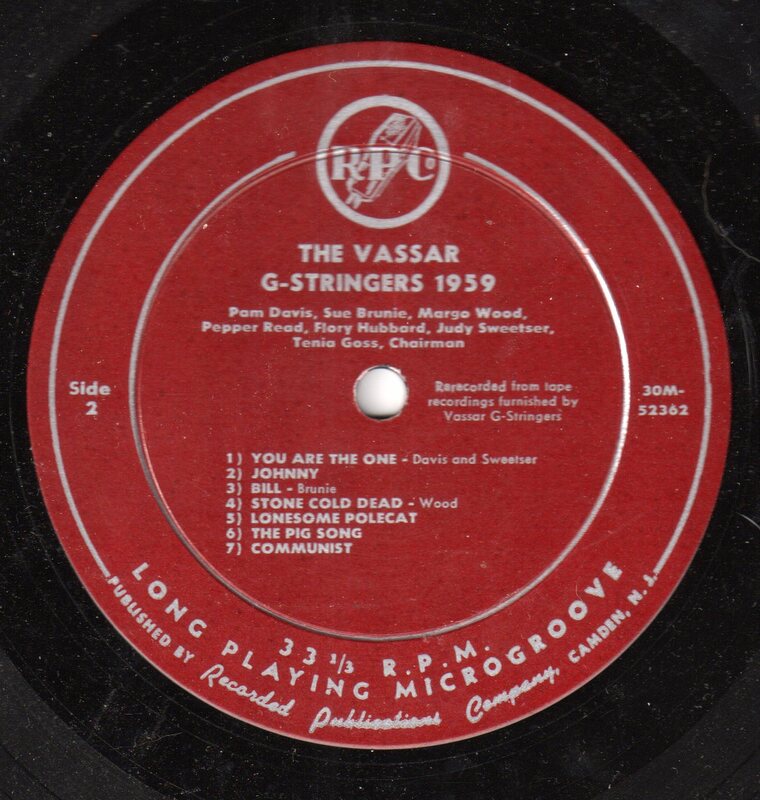 The final song brings the singers up into their present day, containing lyrics which present a simplistic black-and-white view of things, one which was probably already beginning to fade among many college campuses in 1959, but one which also seems to have crept back into the political world of 2010, although for very different reasons (and with "socialist" having replaced "communist"). well, that was ...something. Times they do change. This Youtube link is just for you Bob, enjoy.